An anthology of poetry about Whitehaven and beyond, published to mark the Centenary of Cumbria’s worst pit disaster on 11th May 1910. Poet Jenny Martin comes from a Whitehaven mining family. She had an uncle who was killed in the 1941 William pit disaster, and a cousin who fell to his death down a pit shaft in 1953 when they were both fifteen. She qualified in medicine specialising in a branch of diagnostic medicine, chemical pathology, and retired in 1994. In 2007, encouraged by the leader of the creative writing group that she had recently joined, she tried her hand at poetry with several successes. Mining Memories is her first poetry collection to be published. She is married with two adult children and lives in Cheshire. All proceeds from this book will be donated to The Coalfields Regeneration Trust, an independent organization that aims to improve the quality of life in Britain’s coalfield communities by granting funds to regeneration projects. Nov 2010- I'm sending a cheque for £450 to the Coal Industry Social Welfare Organisation. I can't believe that I've managed to achieve something useful. For more information about The Coalfields Regeneration Trust go to their website at www.coalfields-regen.org.uk. Readership: local interest (Whitehaven/Cumbria), poetry enthusiasts, those with an interest in local history, in particular UK coalmining history. The poem about my cousin who fell down the pit shaft is included, and there is one about a 15 year old Durham coalfield pitboy 6 months earlier who died in a similar accident ON HIS FIRST DAY AT WORK. And one, of course, about the Markham Colliery 1973 disaster. 11th May this year will bring the centenary of Cumbria’s worst mining disaster. 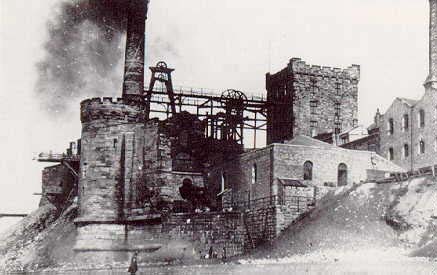 The 1910 tragedy took place at the Wellington pit, Whitehaven and was brought about by the ignition of firedam by a safety lamp and propagated by coal dust, causing an explosion and resulting in a fire. More than sixty Edward Medals were awarded for acts of bravery by those who carried out rescue attempts; however, 136 men lost their lives, many leaving behind widows and children. 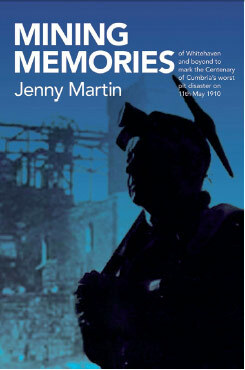 To commemorate the 1910 event, Jenny has written a collection of fifteen poems, which will be published on the centenary. Mining Memories is a moving testimony to the hardship, exploitation and even contempt, suffered by miners and their families. She will donate all proceeds from the sales of the book to The Coalfields Regeneration Trust, an independent organization that aims to improve the quality of life in Britain’s coalfield communities by granting funds to regeneration projects.